I see patterns everywhere, but it's not like I'm Sherlock Holmes 🙂 I'm just incredibly enthusiastic about seamless patterns lately. 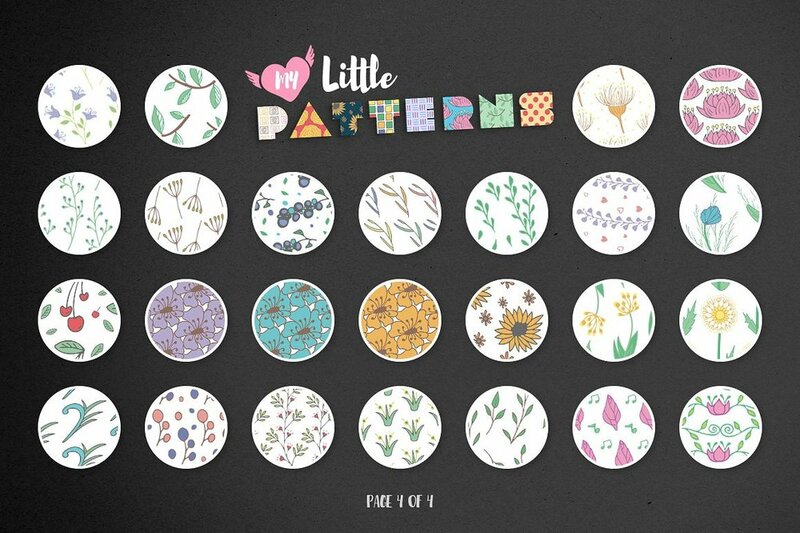 Meet My Little Patterns pack. Imagine how many creative projects you can nail with these cuties: beautiful packaging, trendy apparel design, catchy prints, mind-blowing typography and so much more! Don't think of it as a one-timer, this collection is incredibly versatile – tons of floral and geometric designs would take you some time to pick the perfect one. Of course, all assets are print-ready and can be used for any kind of design work. High-Resolution (300 DPI) PNG assets.